Along with the growth of executable code poetry, code poets are writing poems that draw on the aesthetic, formal, and visual dimensions of computer code without focusing on the executability of the code itself. The work of Mez Breeze, is one such example. Breeze is an Australian net.artist who uses the internet as a primary medium for her work. 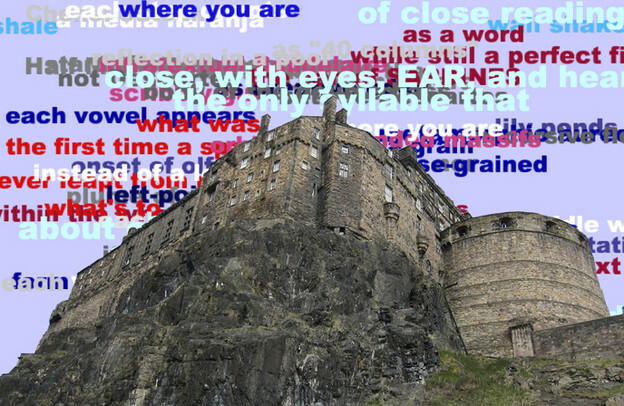 Her digital multimedia work combines sound, image, text, and code, and her writing includes electronic literature and code poems. 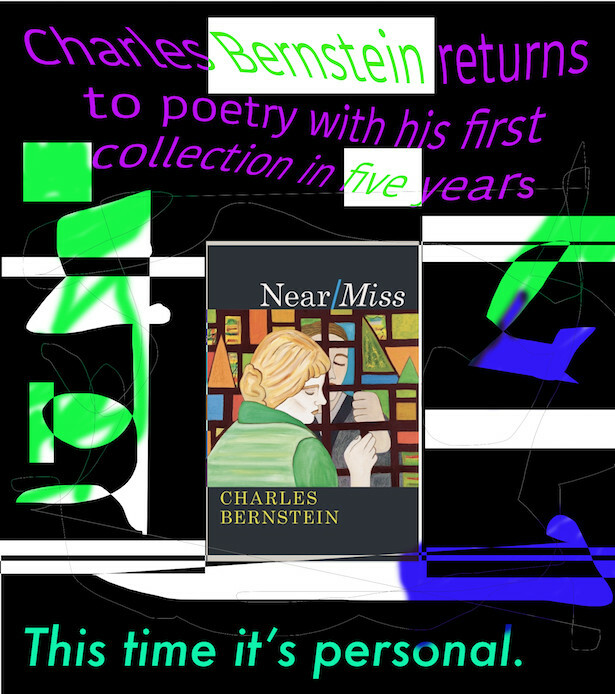 In recent years, growing interest has emerged in the relationship between poetry and computer code. A higher brow version of ASCII art, code poems draw on programming languages like Java or C++ for their formal inspiration. 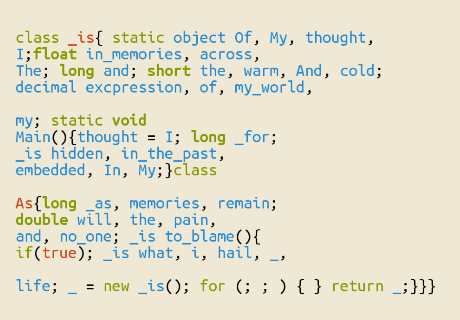 Since 2013, Stanford University has been running code poetry slams to explore the poetic potential of code. 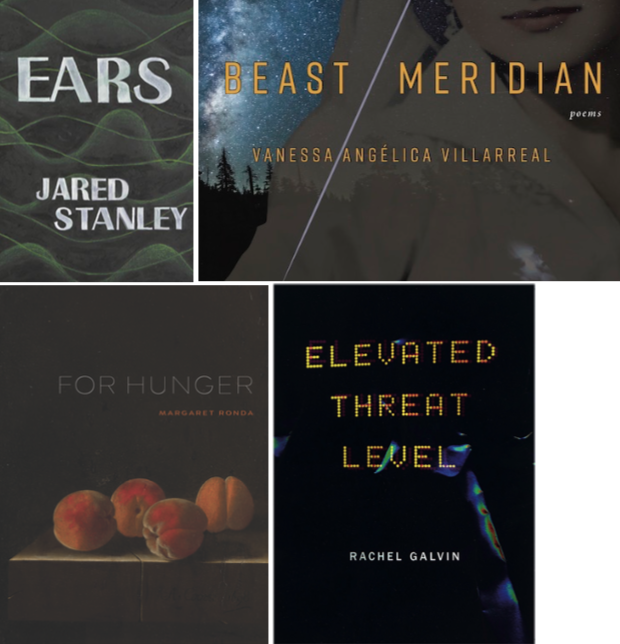 Participants in these competitions have explored the broadest definitions of code poetry. Loss Pequeño Glazier, “On Four Guillemets”; screen capture. It is a common misconception that digital media writing is about computers, networks, or any given technology. 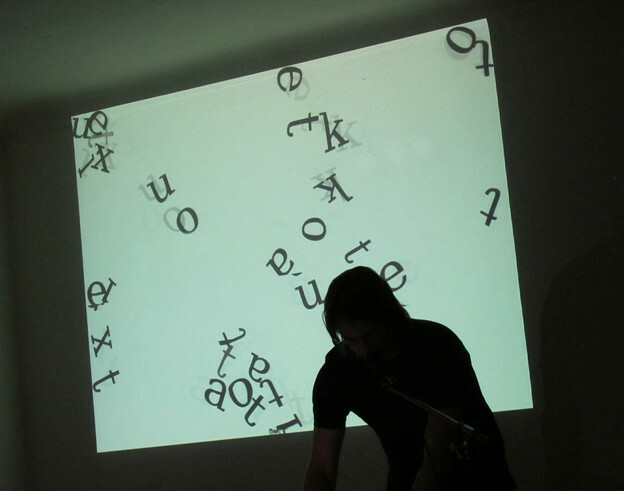 Digital artist Roderick Coover (Temple University), e-poet Nick Montfort (MIT) and e-fiction writer Scott Rettberg (University of Bergen) present an evening of works created through intercontinental collaboration and across media forms. 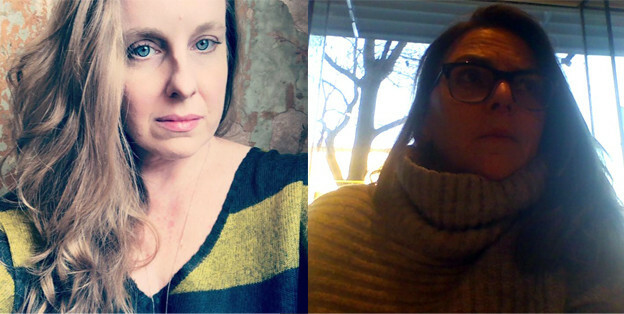 Coover and Montfort will present Currency, a series of 60 second video poems created through writing and image-making constraints and filmed in Puerto Rico, Switzerland, London, Brooklyn and Philadelphia. 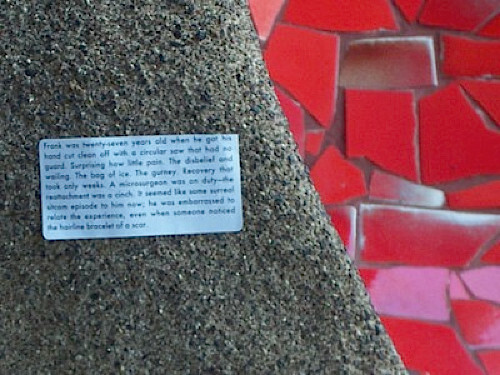 Montfort and Rettberg will read from Implementation, a novel published on stickers, stuck and photographed around the world; and, Coover and Rettberg will premiere works from the Norwegian Trilogy, a set of video narratives concerning legend, love, plague, volcanic dust and a great flood. On November 1, starting at 6 PM eastern time, click here and view the live video stream of this event. Or attend in person at 3805 Locust Walk, Philadelphia. Listen here to an audio announcement about this event. 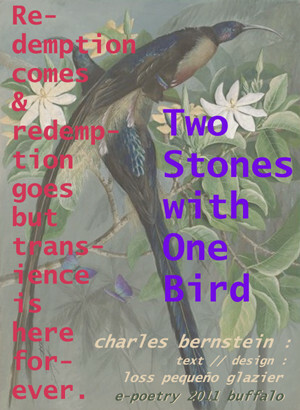 poster: Charles Bernstein / Loss Pequeño Glazier, "Two Birds with One Stone"
2. 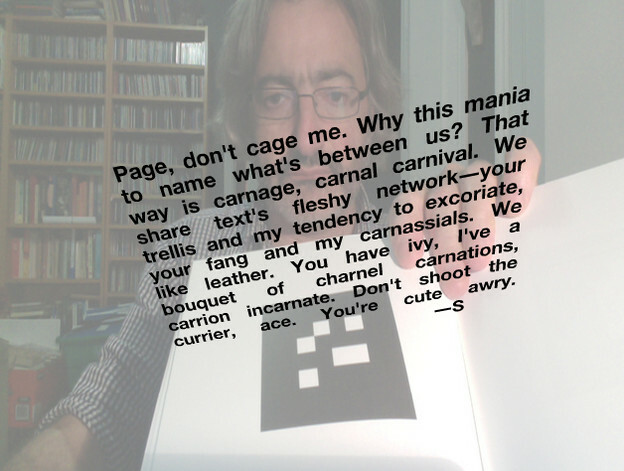 Al Filreis, "Kinetic Is as Kinetic Does: On the Institutionalization of Digital Poetry," in New Media Poetics: Contexts, Technotexts, and Theories, ed. Adelaide Morris and Thomas Swiss (Cambridge: MIT Press, 2006), pp. 123-140.